Man Utd and Liverpool have both reportedly been alerted to the talent of Rochdale youngster Luke Matheson after he impressed on his senior debut. 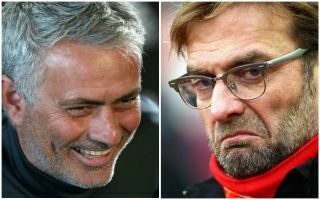 Both Jose Mourinho and Jurgen Klopp will undoubtedly be fully focused on the more immediate future, with the two clubs desperately pursuing major honours this season. However, there is always the long-term vision to consider too which involves keeping an eye out for the top talents that could blossom into stars of the future. According to the Daily Mail, both clubs believe that Matheson could fall into that bracket, as the 15-year-old impressed on his senior Rochdale debut to spark further talk of a potentially major future move to either Old Trafford or Anfield. Given his age, it would arguably make most sense to stay where he is, away from the pressure and spotlight that comes with playing for the biggest clubs in Europe while also benefiting from better chances of playing regularly and continuing his development. Nevertheless, it’s surely easier said than done turning down the interest if it exists, and so it will be interesting to see what decision is made if either United or Liverpool opt to step up their pursuit. At just 15 years of age, Matheson surely still has so much more to prove, but he appears to be making the right first impressions if he has already gained the attention of the two biggest clubs in England having only just made his senior debut. Time will tell if that early promise leads to a big move elsewhere, but consistency and improvement should undoubtedly be his first priorities at this stage as the exciting and talented youngster could have a very bright future ahead.